Only when the goal is clear can the proper course be chartered. An uncertain trumpet cannot proclaim an advance. So too with the preparation necessary for any trade or profession. When the goal is doubtful, the means are not effective. The Church in our time has suffered from a decline in the numbers of young men entering the priesthood. Among the chief causes of the problem is a confusion among theologians about the very nature of the priesthood. When the "terminus ad quem" is not readily and clearly understood, the via toward it will be uncharted and few will set out, and many of those who begin will falter and fail to arrive at the end. If the priesthood is not the intimate sharing of a man in the life and action of Jesus Christ Himself, so that the priest acts "in persona Christi," then who will assume the sacrifices inherent in preparation for it or continue throughout life in its practice? And to a lesser degree, one might say the same for the church musician, who in a certain sense also has a vocation. Just what music for the Church should be today quickly provokes debate, anger and a great display of ignorance, even after the extensive treatment of the subject by the II Vatican Council, which accorded a greater exposition on the subject of music for worship than ever before given by an ecumenical council. As there is a shortage of those preparing for the priesthood, so there is a shortage of young persons seriously preparing for professional service as church musicians: composers, directors, performers both vocal and instrumental. Why? The end is disputed; the way is uncertain; the future questionable. 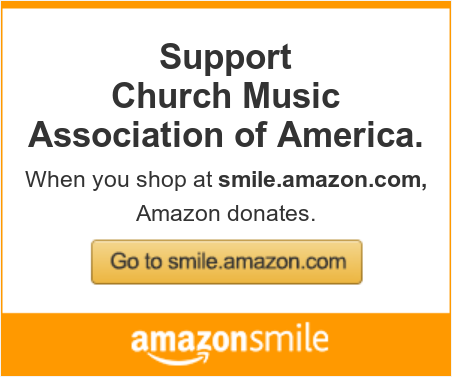 Never before has the opportunity been greater for prospective church musicians in this country. Times are affluent, when compared to previous decades; the conciliar documents have declared the position of sacred music to be "pars integrans in liturgia," giving it a security never before enjoyed; a freedom for composing and performing has been assured by the council; the official position of the Church has never before given such encouragement to sacred music. But why has so little of value developed since the council, and, in fact, why has church music declined and even decayed in the last quarter century? Why? Because it is not certain today just what church music is. What is sacred? What is art? For some, church music is hymn singing. For others it is the folk group, the combo and the guitar. For others it is a sweet and sentimental vocal or instrumental performance, mood music, like piped-in elevator sounds, intended mostly to cover noise, without any real value in itself. True, hymns are part of music for worship, but in no way do they constitute the total treasury of sacred music that the council speaks of or history records. The instruments used in today's combos hardly constitute the compliment of instruments fittingly used in the Roman liturgy during the centuries of its development. Sacred music is not necessarily soft or sweet, prepared to be "seen but not heard." The scope of the repertory we identify as church music is vast, covering centuries, the product of many nations, wed to many languages, composed by the greatest musicians of human history, making up the proudest heritage of the human race. It is both instrumental and vocal; it embraces a multitude of forms; it displays a variety of styles; it is truly an ecumenical art, finding a purpose in many religions and sects; when good and true, and therefore sacred and artistic, it constitutes the noblest of man's work, because its purpose is so high: the glory of God and the edification of the faithful. With such characteristics, why do so few undertake to study and practice church music? Chiefly because so few know what it truly is. When the end is unknown, who will seek it? Education in church music begins in the home as all Christian instruction does. What parents inculcate at an early age begins the direction that the youngster will follow. Then come the primary grades in school where the earliest efforts are made to participate with others in the liturgy. As good music is introduced to the elementary and high school students, the proper understanding of the value of the artistic and the sacred is taught. An appreciation for the good and ultimately a desire for the beautiful will be a great treasure for students so fortunate as to be exposed to correct music for worship. It is the reward of good teaching and liturgical direction by qualified and dedicated teachers. All Catholics should be brought to understand and to appreciate the treasury of church music, both by performing it and by listening to its performance. The council clearly directs that the treasury of sacred music be known and fostered by all. In time, if God has given a special musical talent, a student who finds an attraction to liturgical music will seek to perfect the talent through study. Private instrumental lessons, membership in parish or community or school choral groups, and eventually formal training in college will bring him into a professional position as performer, composer or director. Such talent needs sound, professional training, both theoretical and practical. The basic under-graduate college music major course is essential for the training of a church musician who plans to make his life work the service of the Church. Beyond the B.A. degree, for those who would seek positions of importance (cathedrals, seminaries and larger churches), graduate work in church music should be undertaken. It should be a furthering of instrumental and vocal techniques, further study in composition and theory, and especially a deepening of knowledge of the history of music and liturgy. But where can this be done? About twenty-five years ago this matter was discussed by the Bishops' Advisory Board on Music. Since the Vatican Council called for opportunities for such advanced musical and liturgical study, the American bishops were anxious to supply such a need. I was asked to present some ideas on the graduate education of a church musician who could return to his diocese and further the implementation of the decrees of the council in the parishes and schools. The program envisioned by the council was clear and within the reach of everyone. y, the work of advancing the role of music as an integral part of the liturgy could be achieved. A salary commensurate with the musician's academic preparation would assure the Church that there would be no shortage of church musicians, well-trained and properly prepared. The training of those responsible for the making of music is the basic element of success in carrying out the wishes of the council fathers on every level within the Church. Without it, we will continue as we have been going for the past twenty-five years–downwards. Every institution knows that its success as well as its future depends on the training of its leaders. Church musicians need preparation. Just as with candidates for the priesthood, preparation is imperative, but those providing that preparation must know what are its goals in order to present the means toward the end. When the goal is uncertain, the preparation will be inadequate and the candidates few and inferior. Rev. Richard Schuler, a frequent contributor to SACRED MUSIC, is pastor of St. Agnes Church in St. Paul, Minnesota, and was a member of the Board of Directors of the Church Music Association of America.